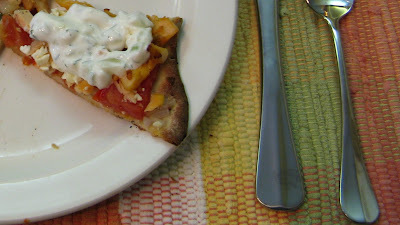 OMG, that Salmon and Tzatziki pizza looks just fabulous. I'm gonna see if we can get some salmon tomorrow! i would never expect salmon and tzatziki to be PIZZA toppings! It sounds like you had a great time and some delicious pizzas!